a most unusual stand offering Spiritual Healing, to both dogs & their owners. Talking to Malcolm he said Many people are suspicious and frightened of Spiritual Healing. 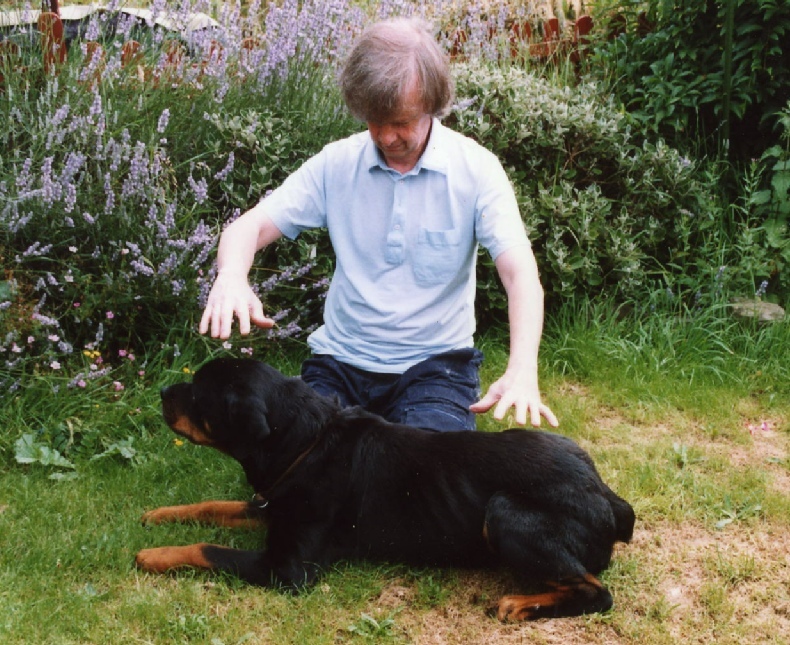 But what it does is balance the body's or animals own energy centres, as well as the body's circuitry, to remove blockages, It helps the body's own self healing system to start to work better. Malcolm said he was so busy treating animals and humans that he has had to cut down on the number of dog shows he used to attended. He said: .... Animals are more susceptible to this kind of healing because they have no preconceptions, I always feel I have done something worthwhile when I have treated an animal, as it is so nice to be able to help them.